To get in a good workout, it is crucial for me to have music to keep me going. I don’t workout as much as I should, but one of my big motivators is the new music loves that I rock out to when I do workout. The specific songs on my workout playlist are integral to me continuing to run that extra 1/4 mile, to spend that extra 5 minutes on the elliptical, to do those extra ten sit-ups. I actually choose my songs very carefully and put them in a good order so that I’ve got that extra push when I need it most, when I can tell I’m losing energy and motivation. Here are ten of the songs I’ve got currently in my workout playlist rotation that help give me that extra boost of workout motivation. Have a workout song favorite of your own? Share with me in the comments below! I always like "Dark Horse" by Katy Perry, especially when I have the last hill of my run to overcome! This is a good list. I love more upbeat stuff to workout with. My favorite is Infected Mushroom – Deeply Disturbed. 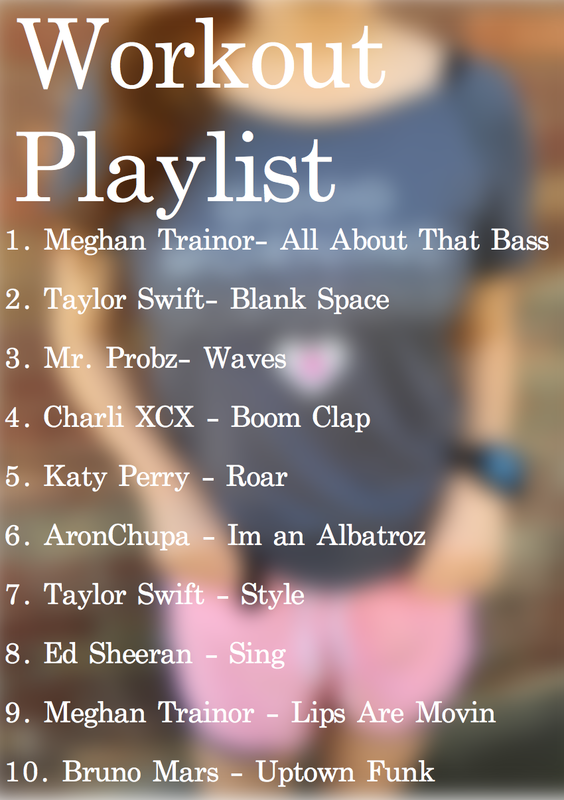 Awesome play list! I love to workout to Taylor Swift!! Great playlist! I am always on the lookout for new tunes.